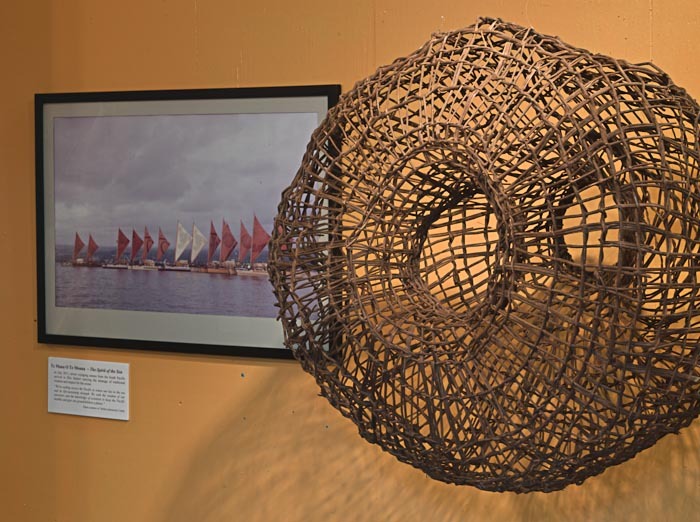 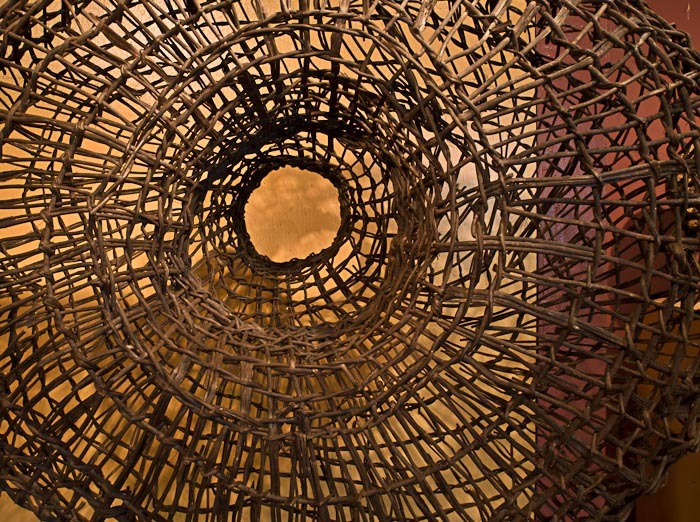 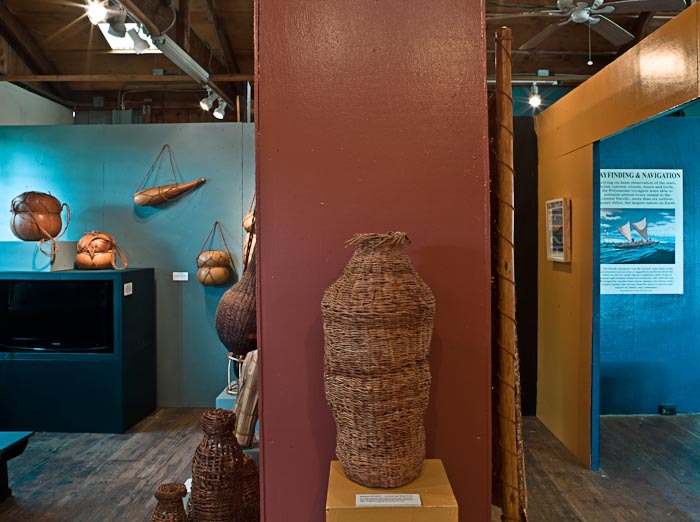 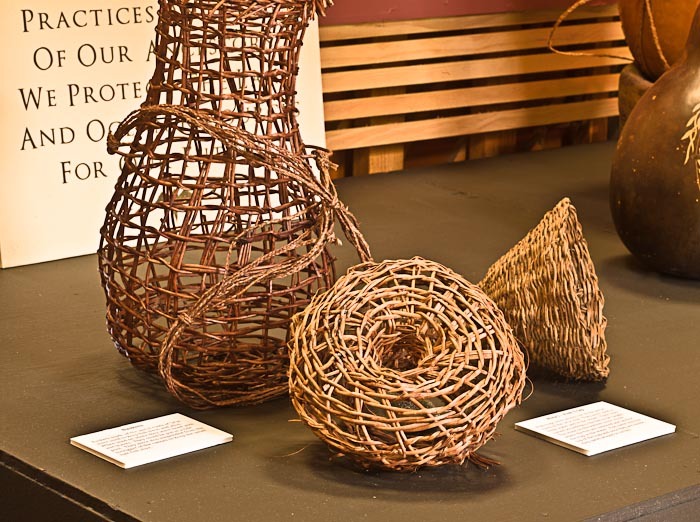 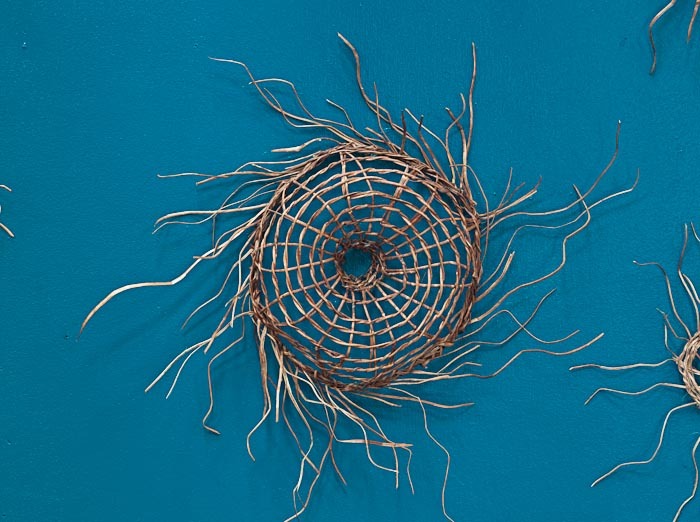 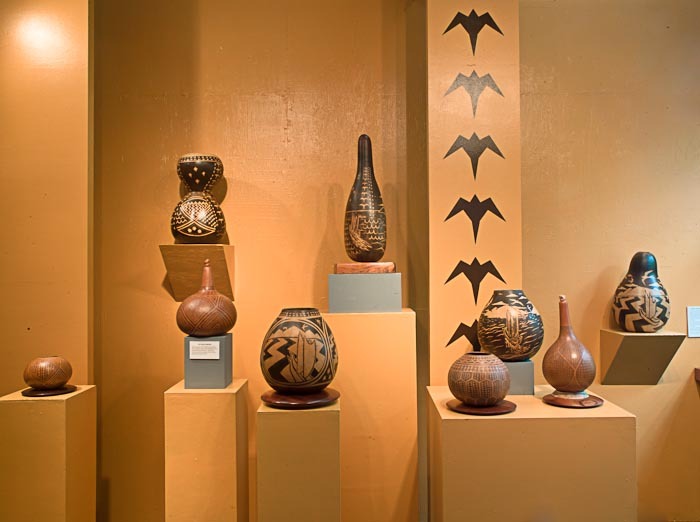 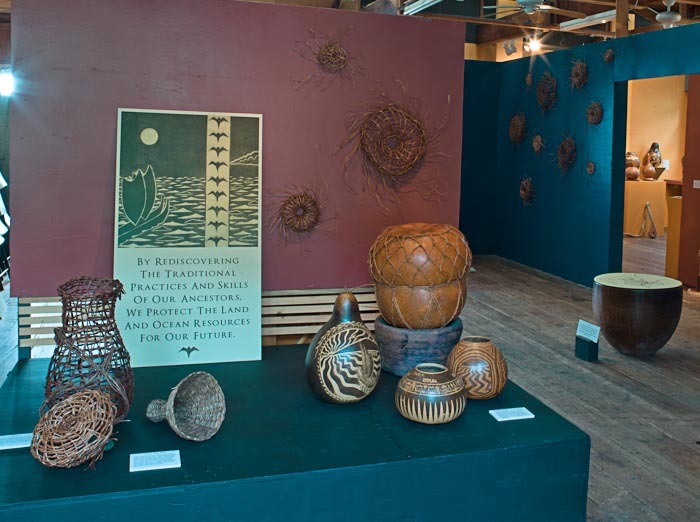 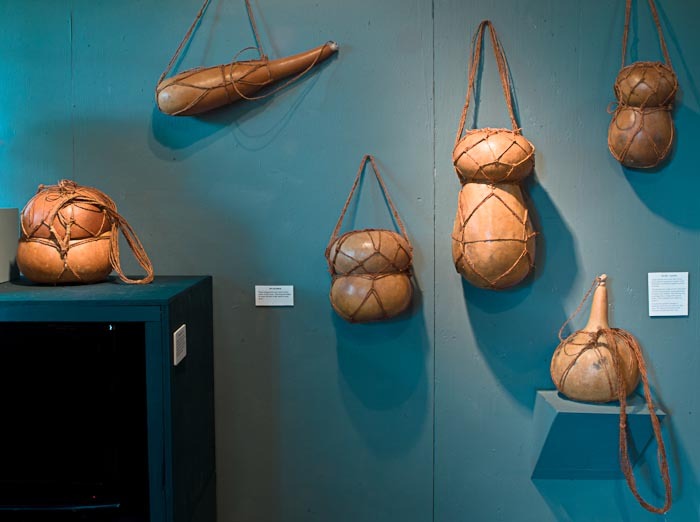 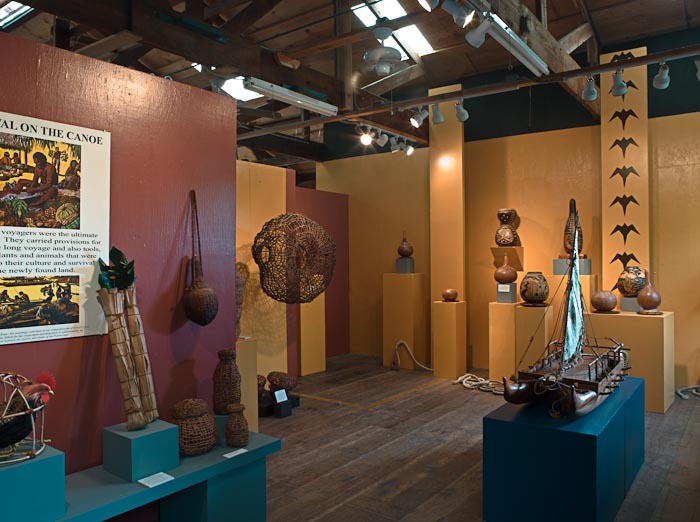 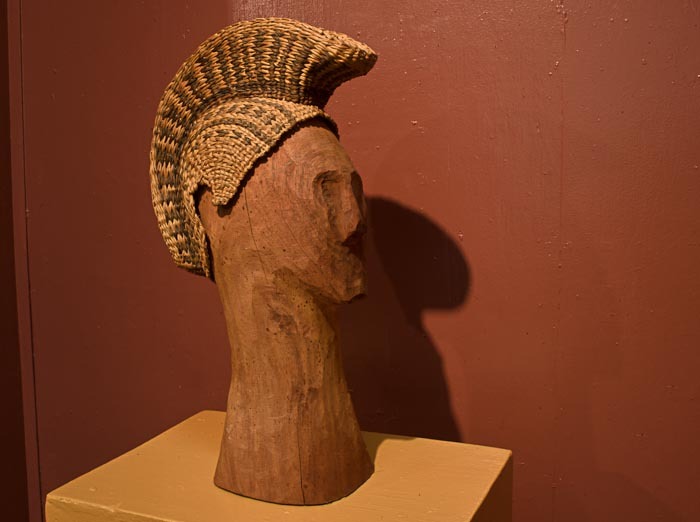 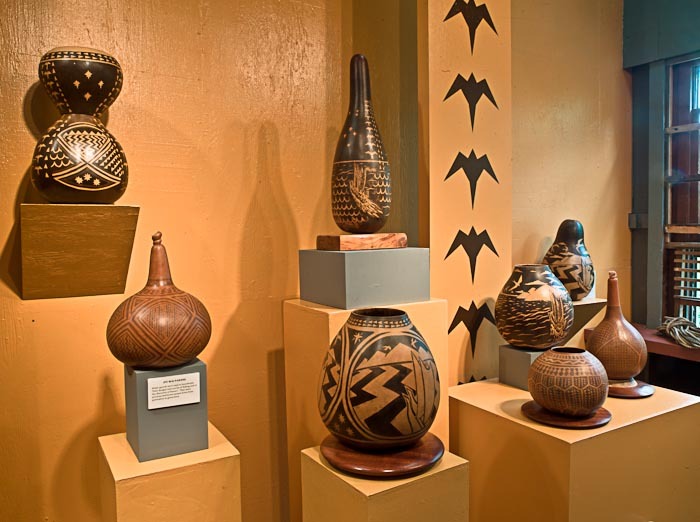 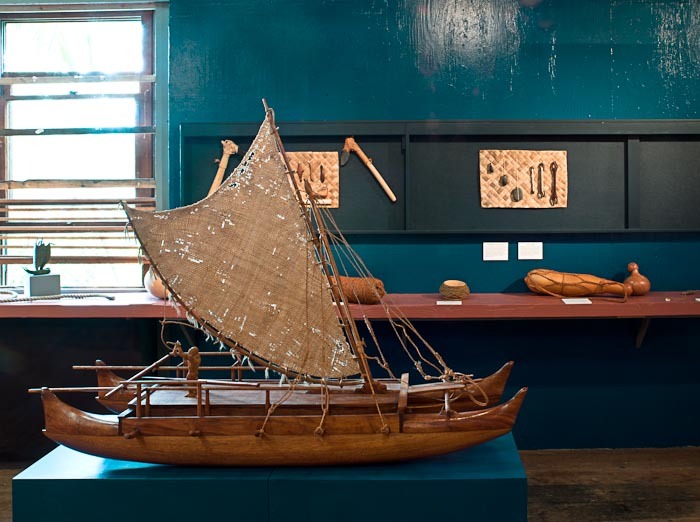 This exhibit was assembled for Donkey Mill art Center in Holualoa, Hawai'i, and was curated by Hiroki Morinoue. 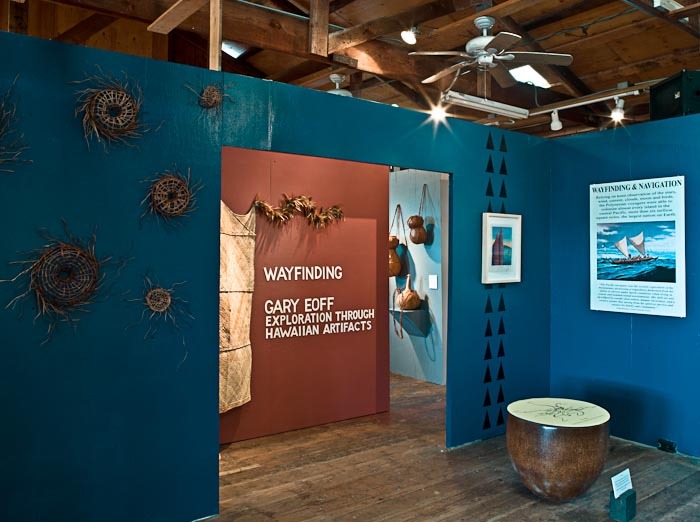 Portions of the exhibit have also been displayed by 'Imiloa Astronomy Center in Hilo, and on the mainland. 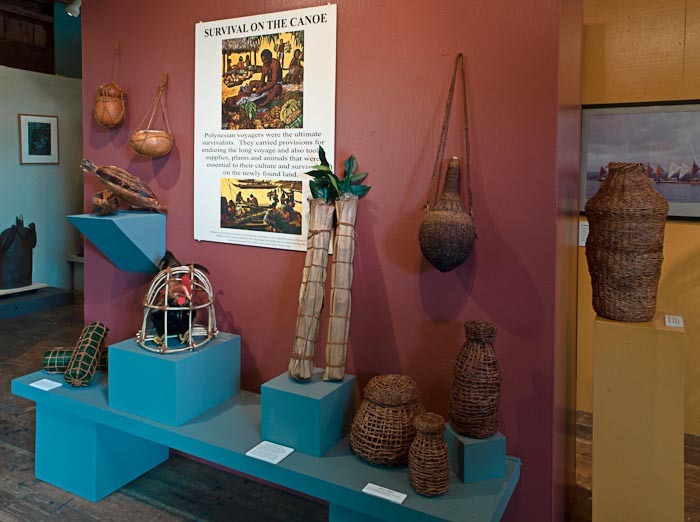 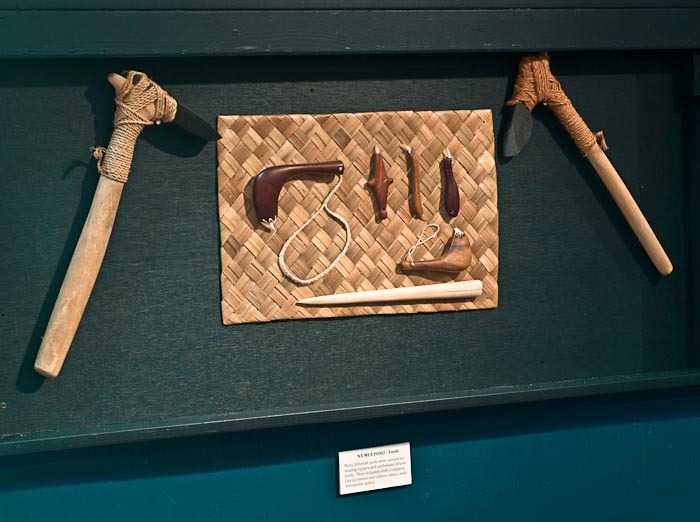 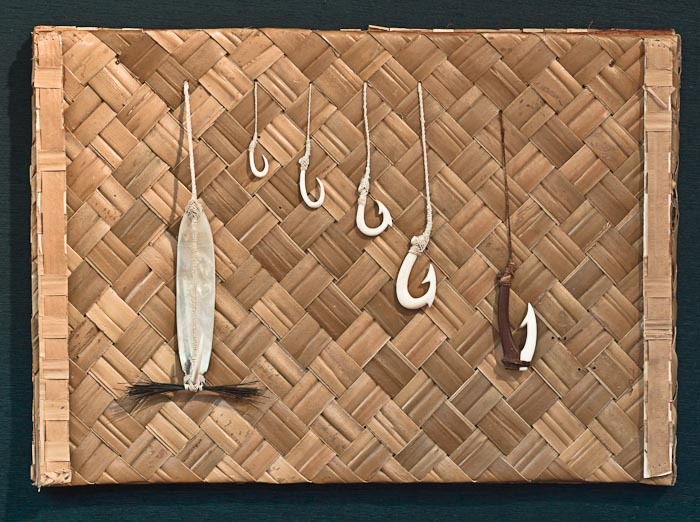 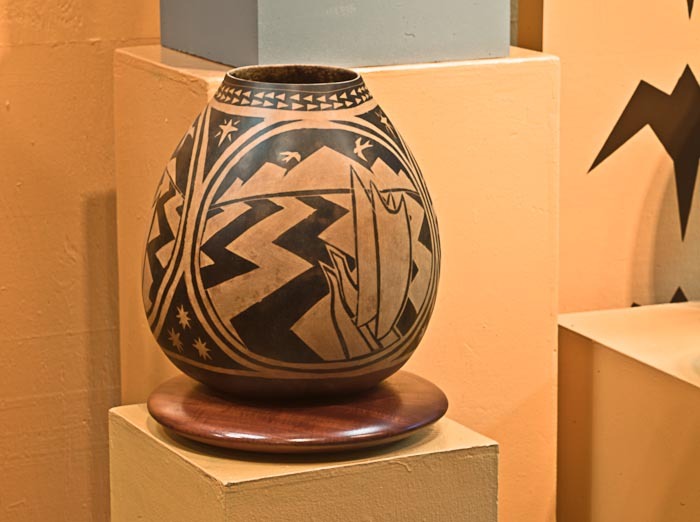 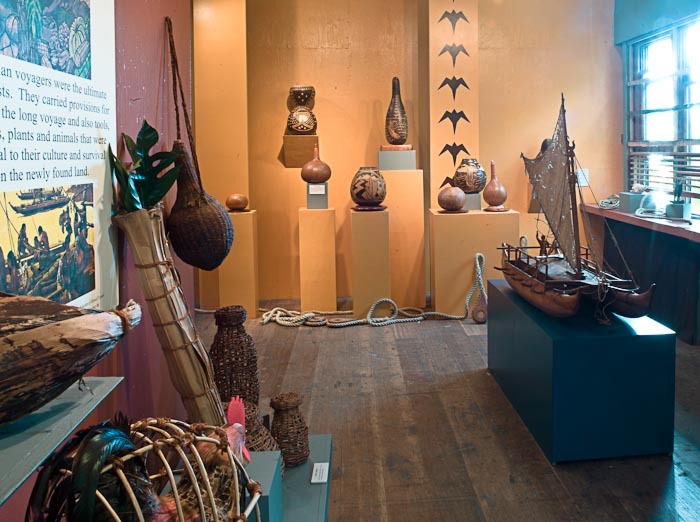 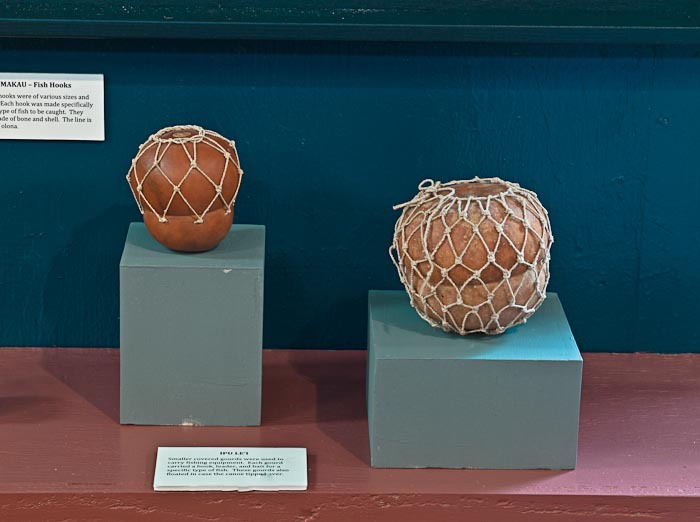 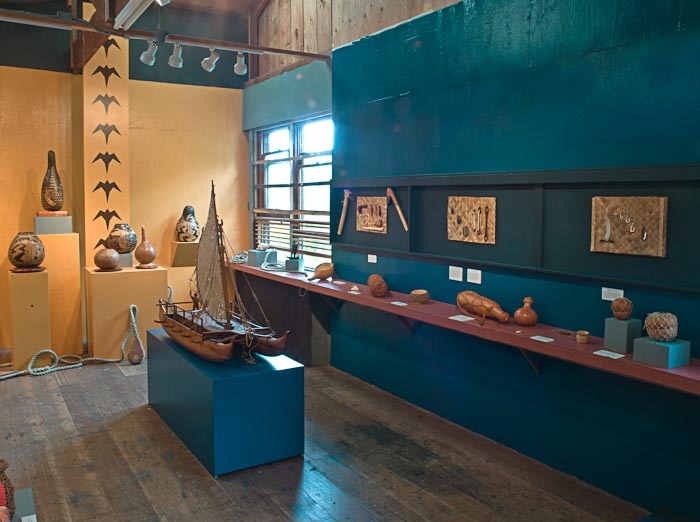 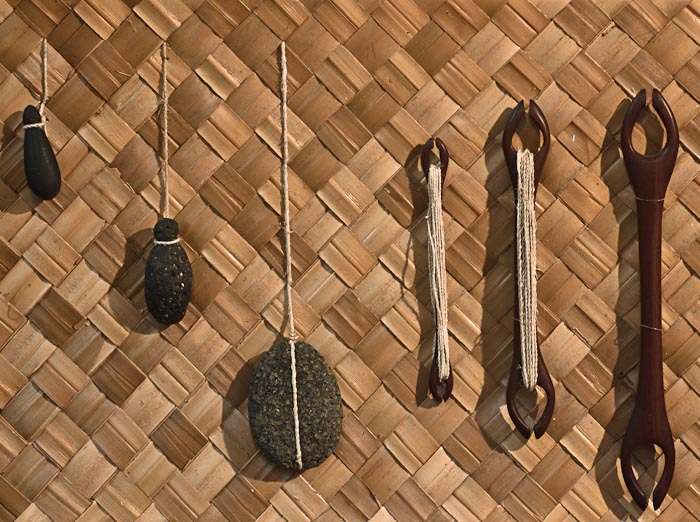 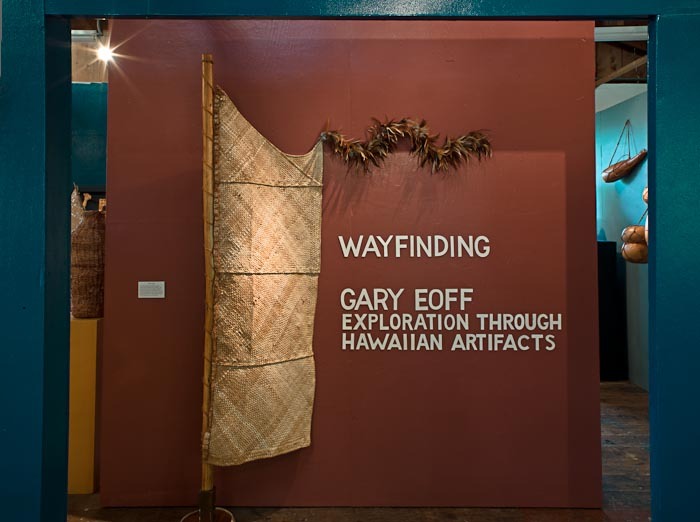 The exhibit focused on early Polynesian wayfinding that brought the first settlers to Hawai'i, and on provisioning of the canoes that allowed the explorers to make the long, difficult journey across thousands of miles of open ocean, and to transplant their culture to this new land. 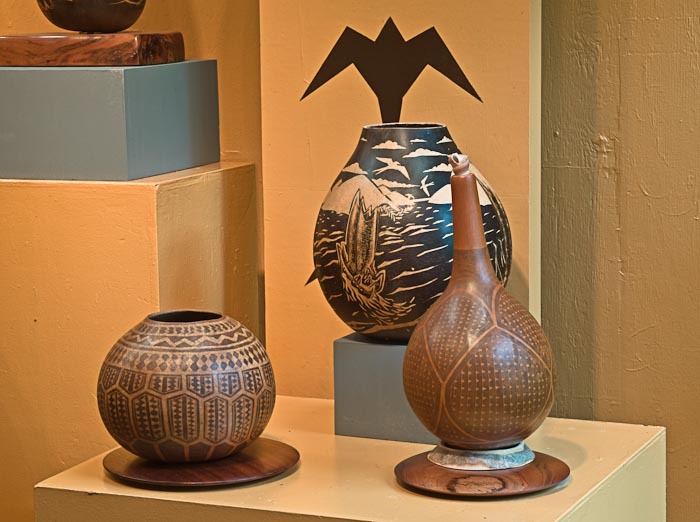 This includes the plants and animals needed to sustain them, and the tools and implements they used to survive in this environment without the luxury of clay for pottery or metal for tools.